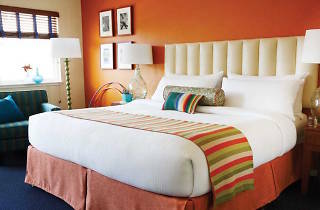 Saturated with color, this Joie de Vivre property is right at home in San Francisco’s beachy Marina District. 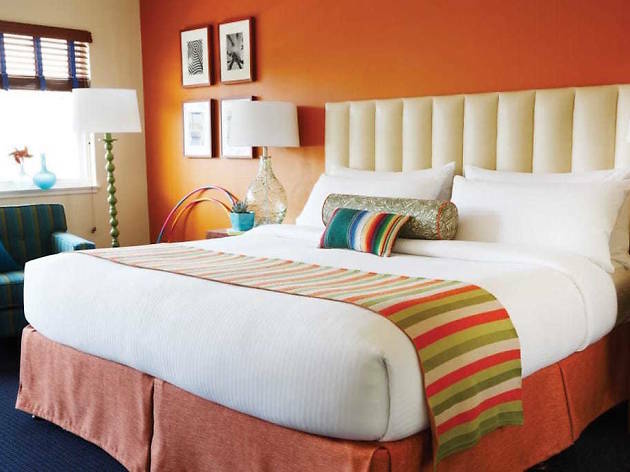 One of only a handful of San Francisco hotels with a pool, Hotel del Sol’s bright and playful rooms are kid- and pet-friendly and feature modern technology, including free high speed wifi. Paid parking is available on-site.